Mailman by day and architect by night. Poet and visionary. 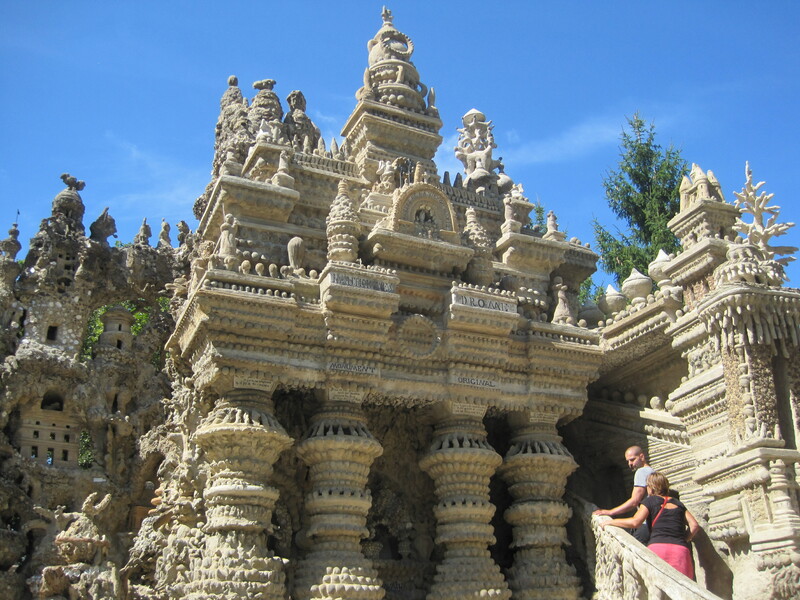 In his own words chiseled into the walls of his beloved Palais Idéal, Ideal Palace, he said the following: “In creating this rock, I wanted to prove what the will can do,” and “work of only one man.” His life is truly an incredible story of single-handed persistence and possibility! Born in 1836, young Ferdinand Cheval dropped out of school at the age of 13 to become a baker’s apprentice, and eventually took the position of postman in the remote area of the Rhône Valley in Hauterives, France. Every day for 10 years, he walked the difficult terrain of his mail route, alone in deep thought. He could never fully explain the “trance-like states” that overtook him, imagining incredible visions of a special “palace.” Then, one day while making his rounds, he tripped on an old stone, whose shape reminded him of his vision. At that moment his life changed—never to be the same again. He took the unusual “stumble stone” home and placed it in his back yard. From that day forward, he collected beautiful stones from the countryside by the handful, pocketful, basket-load and eventually by wheelbarrow—stacking them in his back yard as the building blocks of his vision. In his autobiography, Cheval finally disclosed that his idea for the monument originated in his dreams. However, for most of his lifetime, he told no one about those visions, afraid he would be mocked. Sadly, his instincts were right, since simply collecting the massive pile of rocks behind his home created great dissension in the town. People thought he had gone mad, making him the target of much undeserved ridicule. Today, scores of curious people visit the incredible Palace masterpiece that took him 33 diligent years to complete. You can walk around, inside and on top of his vast composition, representing various world styles, religions and fantasy forms. He is well-known to this day for his “naive art architecture,” since he was never formally trained as a mason, sculptor, artist or architect. But the lack of formal training didn’t stop him from following his dream and intuitions. Through decades of ridicule and confrontation, he persisted. He would not let anyone or anything get in his way. 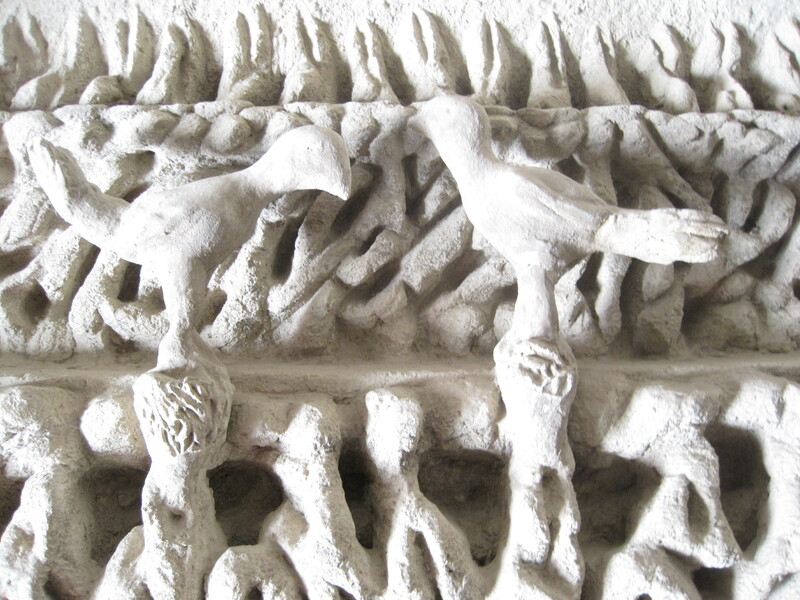 As the final gesture of completion Cheval requested that he and his wife be buried in his sacred palace. 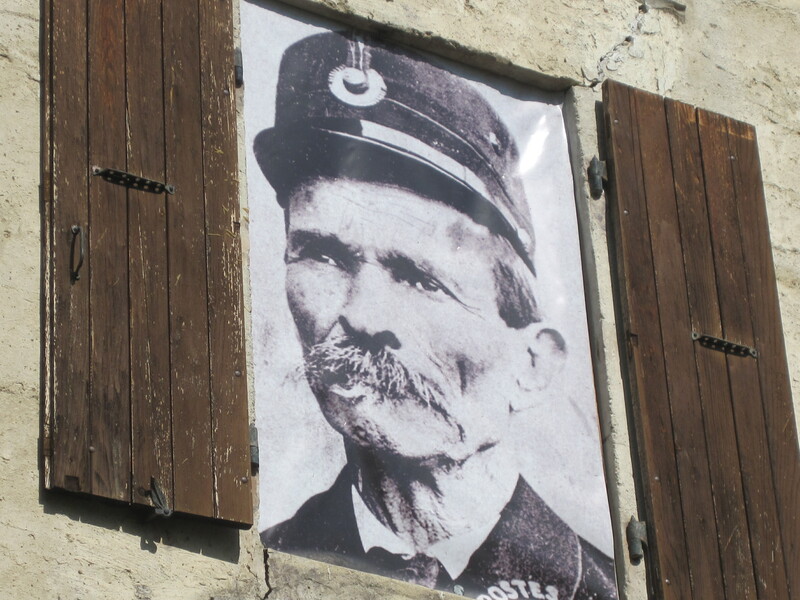 But since the request violated French laws, Cheval spent the next 8 years building a burial monument for him and his wife at the local cemetery. He died on August 19, 1924 at the age of 88, about one year after finishing their tomb. Now, some 130 years after he started building his Palace, he is celebrated around the world as a rare genius, creating a profound work of art that has inspired generations of young dreamers, and will hopefully continue to inspire for centuries to come. Cheval‘s Ideal Palace is the life’s work of a single man~the postman of Hauterives. 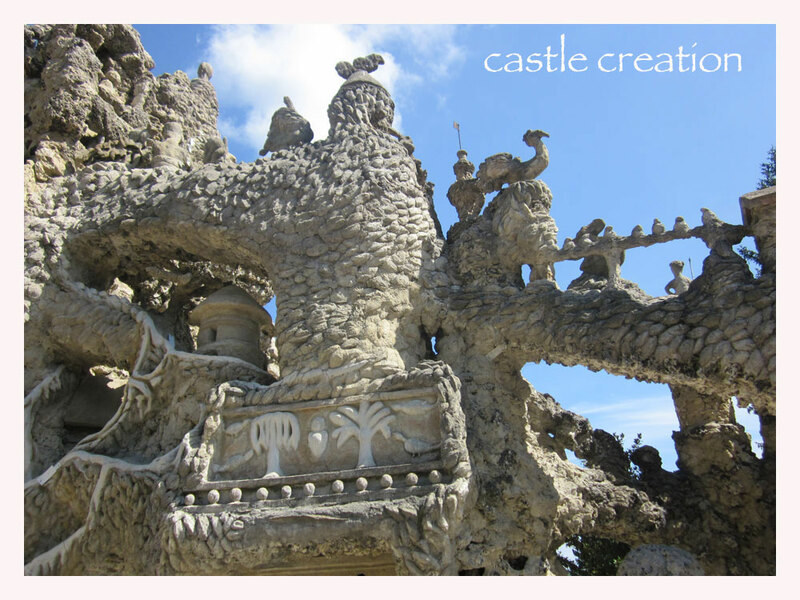 It is a monument to the power of a dream, willpower, and a fitting tribute to the creative human spirit. Note: You may also be interested in some of our stories about Lyon. Next Post: Living Large on a Barge?